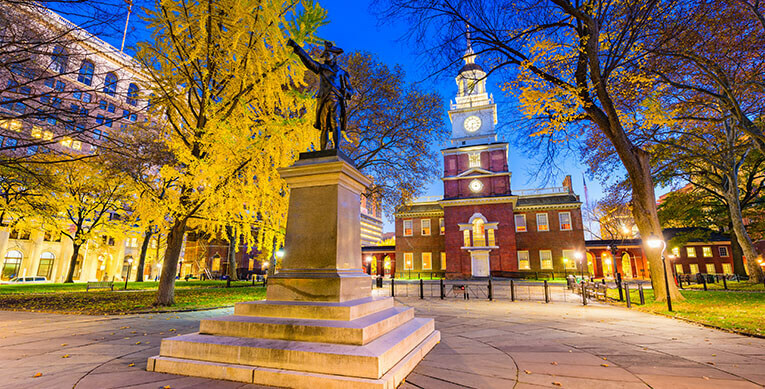 Pennsylvania is an expansive, car-friendly state that was one of the original 13 colonies. It has major metropolitan areas like Philadelphia and Pittsburgh and historic small towns like Gettysburg. No matter where you live, getting cash for cars in Pennsylvania can be a challenge. This is particularly true if that car is in less than perfect condition. Car dealers are not inclined to buy damaged cars, nor are private owners. Pennsylvania junk car buyers will likely only offer scrap yard prices. Salvage cars and damaged cars can be an eyesore and a problem to dispose of. You may even be faced with towing charges. What if there was a place that would buy cars online? What if you could get an offer for your less than perfect car in two minutes or less? You can, when you visit DamagedCars.com. Get your instant online quote TODAY! 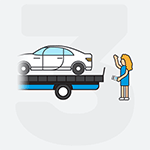 Not only can you get an offer within two minutes at DamagedCars.com but we can pay you and tow your cars within two days. There's no haggling, no pressure and no hassles. We not only buy cars online but we buy junk cars online and we do it swiftly! What Kind of Cars Do You Buy in Pennsylvania? We buy just about every model of cars, trucks, vans and SUV's. We buy cars that were damaged in car accidents. 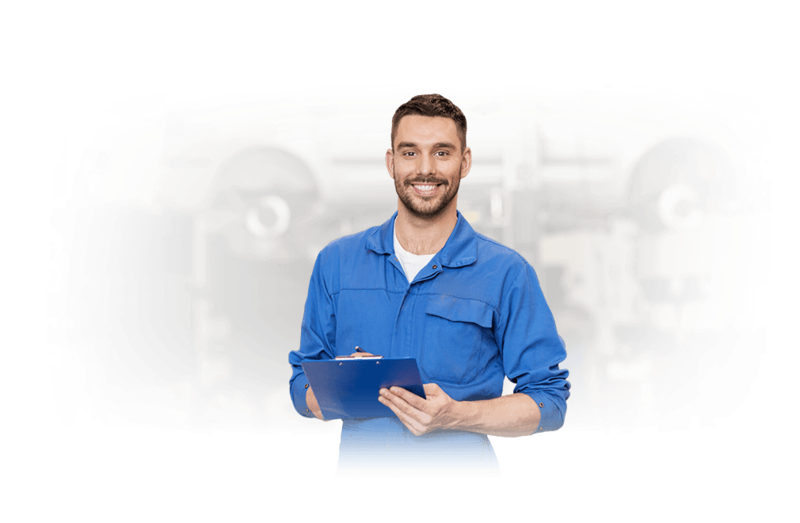 We purchase vehicles with blown engines, transmission problems and even cars that won't start. If you have a problem car that no one seems to want to buy or if you've only been offered scrap metal prices, we are the modern, convenient alternative. What Do I Need to Sell My Car in Pennsylvania? Selling your car through DamagedCars.com is easy. Just find your title and grab your keys. If you have the registration and a bill of sale, that can be helpful but it's not necessary. Remove your license plates and personal items and your car should be ready to go. 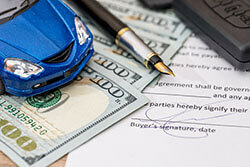 How Much Can I Get When I Sell My Car in Pennsylvania? If you sell directly to a junkyard in Pennsylvania you can expect to get paid a “per-pound” scrap metal price. If, however, you sell through DamagedCars.com, you can expect to do better. Why? Because we specialize in evaluating the value of less than perfect cars. We consider the car's make, model and year. We even take into consideration the valuable options the car may have. This makes a difference if your car has a leather interior, premium sound system or other options. Don't settle for less. Visit DamagedCars.com and get your guaranteed offer today! While Pennsylvania is large by East Coast standards, it ranks only 33rd nationally in terms of total area. Almost one in three people in Pennsylvania (28.5%) are of German heritage. Where Do You Buy Junk Cars in Pennsylvania? We make it as safe, easy and convenient as possible. We get high customer ratings, have an excellent reputation and are members of Automotive Recycling Association and United Recycling Group. We work with partners who use environmentally-friendly recycling strategies. To get started, visit DamagedCars.com and fill out our simple form. 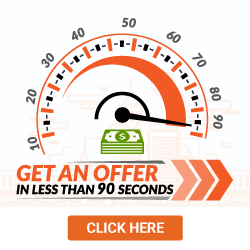 You'll get an offer within two minutes with no pressure to accept. 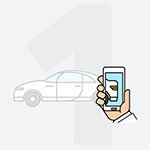 Once you accept an offer, we'll bring your payment to you and get your car within two business days. There's no hassles and no towing costs. You don't have to call around to get estimates and no need to set foot in a junkyard. See how easy it is for yourself. Visit DamagedCars.com and get cash for cars in Pennsylvania today.